Center yourself with this stylish three stone ring from Apples of Gold. 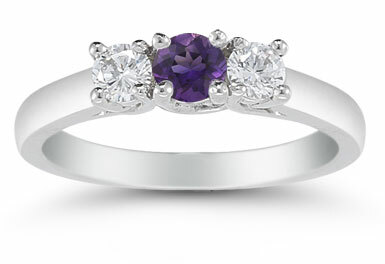 A richly colored amethyst stone grounds this ring with a fashion sense as the middle stone. Measuring 4mm, the amethyst is an excellent focal point. The gem is flanked by two radiant white diamonds, each measuring 0.15 carats, and these precious stones add extra sparkle to the ring. Each of the round cut diamonds and round cut amethyst are set in a white gold mounting that leads into the plain white gold band for a polished presentation. 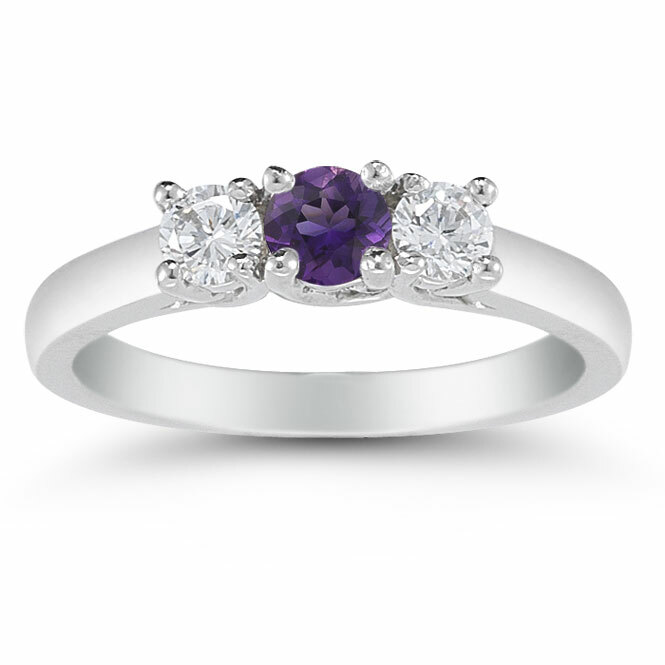 We guarantee our Three Stone Amethyst and Diamond Ring, 14K White Gold to be high quality, authentic jewelry, as described above.